The Royal Marines' 3 Commando Brigade is the Royal Navy's amphibious infantry on permanent readiness to deploy across the globe, and is a core component of the UK's Joint Rapid Reaction Force. Together the Royal Navy's amphibious ships and the Brigade represent a highly mobile, self-sustained and versatile organisation, with a strategic power projection capability that is unique among the British armed services. The development of music in the Royal Marines is bound up with the evolution of British military bands. Lively airs and the beat of the drum enabled columns of marching men to keep a regular step. RMR London is sub-divided into four detachments to enable Reservists to be drawn from the main areas of population within South East England. The main detachment is London which is located alongside the HQ. The three remaining detachments are based in Chatham, Henley and Portsmouth. 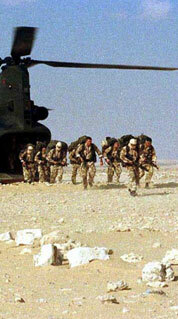 Who are the Royal Marines Reserves?